Hey everyone I’m FergaTroid and welcome to this review of Star Wars Battlefront, does this game have the force with it or is it just another thing to add to the crap of Star Wars. Star Wars Battlefront looks and sounds like Star Wars from the scratches on the X-wings and the pulsating sound of an igniting lightsaber even John William’s classic score is present. However this Star Wars skin is occasionally brought down by terrible voice acting from the heroes and villains of the game such as Luke Skywalker and Boba Fett. Another thing that would truly make this a Star Wars game is some child murdering but unfortunately the letter I sent to DICE about this outrage was sadly ignored. This game was developed by the makers of the Battlefield franchise and the weight of the guns present in those games just isn’t present in this game. Another problem with the various blasters is that the aiming down sights and scopes just doesn’t feel natural. In a game like Call of Duty when you press the aim button you see the gun being raised and then the gun is pushed up and into the camera. 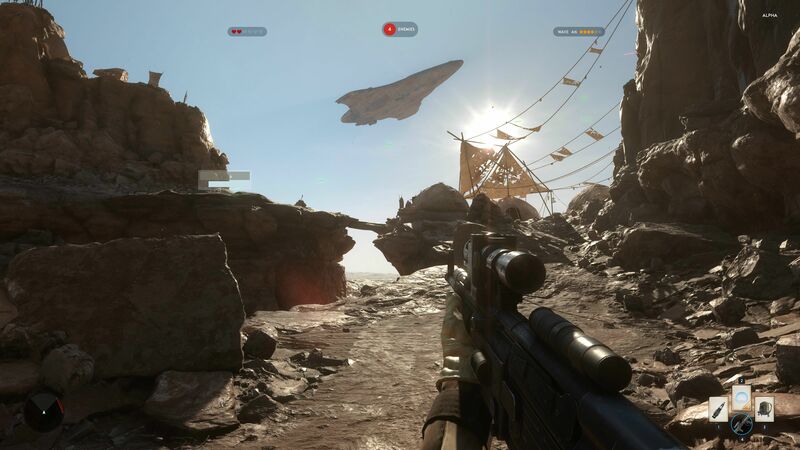 However in Battlefront the scope just seems to fade onto the screen with no real transition animation. However both of these blaster problems are fixed by going into third person mode. But now it’s time to talk about single player content, this game is like an anorexic girl when it comes to content. It had to be so skinny to fit into the best dress but know no one wants to dance with her because ribcage looks like hollow shoe box. What I was trying to get across with that terrible metaphor is the fact that Star Wars Battlefront in terms of single player content is appalling with no campaign or story mode just 4 horde maps, 4 multiplayer maps with bots in them and a handful of tutorials. Some of this content has a 10 second pre and post gameplay cut scene which shows so much potential for a whole campaign. There isn’t even really a map to a lightsaber fight in because when you play on a hero map there is only one hero and that’s you. 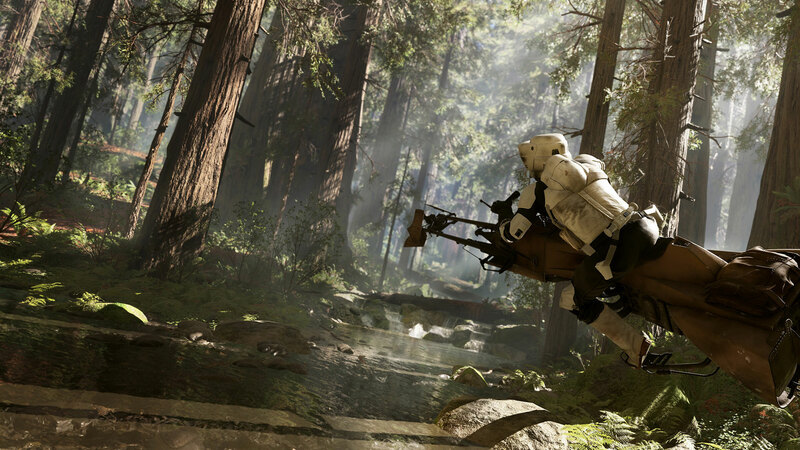 To really capture the feel of a Star Wars battle Battlefront has multiple vehicles like X-wings, T-47 airspeeders and 74-Z speederbikes. Now I’m not a diehard fan of aerial dogfighting and usually will favor the helicopters when it comes to aerial combat but the dogfighting in this game is fun and intuitive. And now it’s time for my final thoughts. 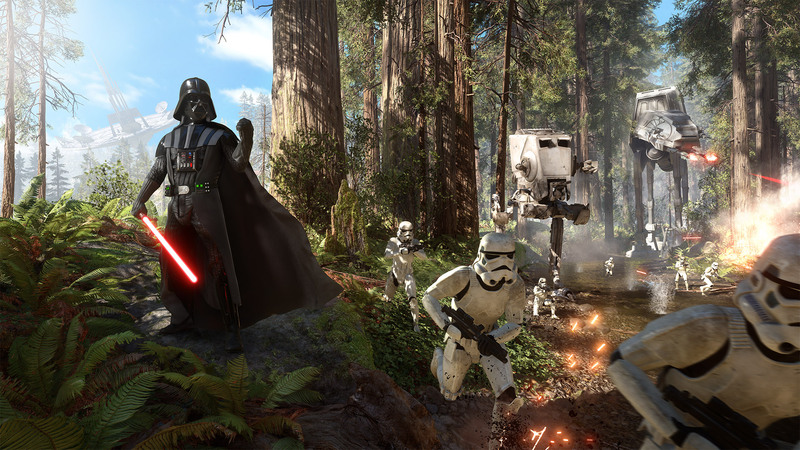 Star Wars Battlefront is a good looking but shallow game with some great fan service to Star Wars fans. 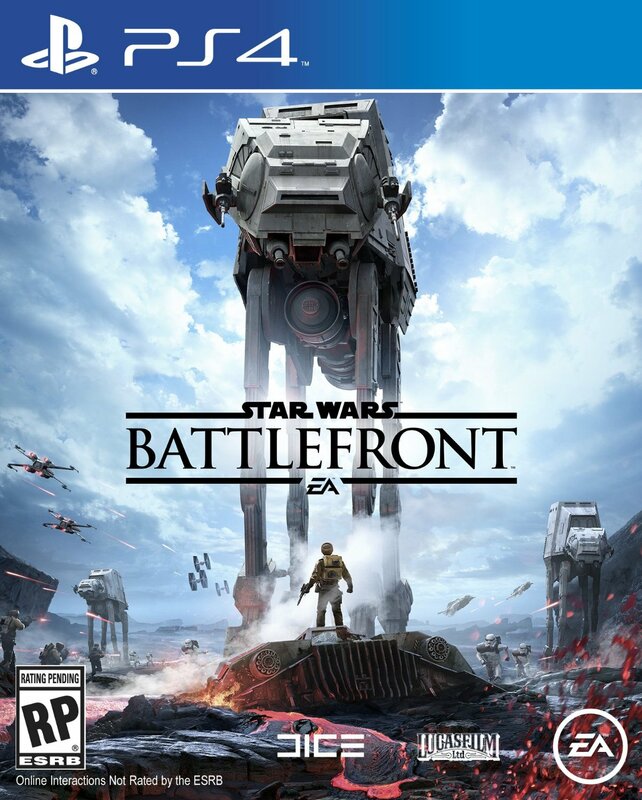 Star Wars Battlefront gets 2 stars out of five.